Here's the scoop on modifying your 8N steering box to accept a 1/8 Zerk fitting so you can lube the steering box up with cornhead grease instead of the messy 90w oil as specified in the original operator's manual. You need to deteremine which style box you have before making the change. The early 8N Steering Box has a 1/4-NPT pipe plug in the right side column. This plug usually has a screwdriver slot head but some may have a 3/8" square head. The late 8N Steering Box will have a 7/16-14 hex head bolt in about the same place. The modified parts are simply, for the early box, a standard 1/4-NPT pipe plug with a 3/8" square head is drilled thru on center then tapped to accept the 1/8 Zerk fitting on top of the square head. You will need a 3/8" open end wrench to screw it into the old port after you remove the original plug. Keep in mind this hole is tapped for a 1/4 pipe thread so don't try to chase the threads with anything other than the correct pipe tap. The late steering box uses a standard 7/16-14 hex head bolt. Remove original bolt, screw in specially modified bolt and lube 'er up. I used a 7/16-14 by 1.0" long Grade 5 hex head bolt and, like the pipe plug, is drilled and tapped to accept the 1/8 Zerk fitting on the top of the hex head. You can insert it on the steering column using either a 5/8" open end wrench, a box wrench, or a deep well socket wrench. 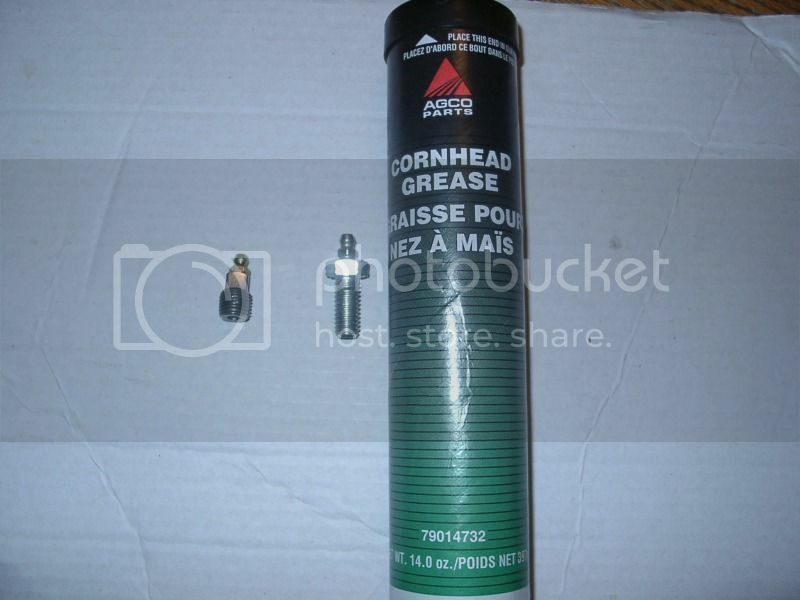 Cornhead grease is available from your local AG dealer, CNH dealer, or John Deere dealer. 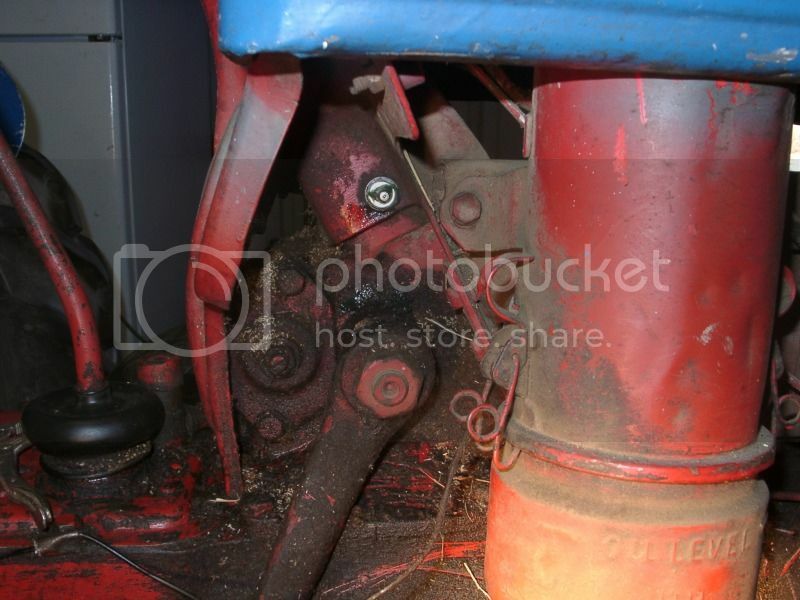 I picked up mine from my local Case/New Holland dealer and it was the AGCO brand as shown in the picture below. Now it would be a good idea to check for water in your steering box first before adding any grease or oil and take care of that problem before adding a modified plug. 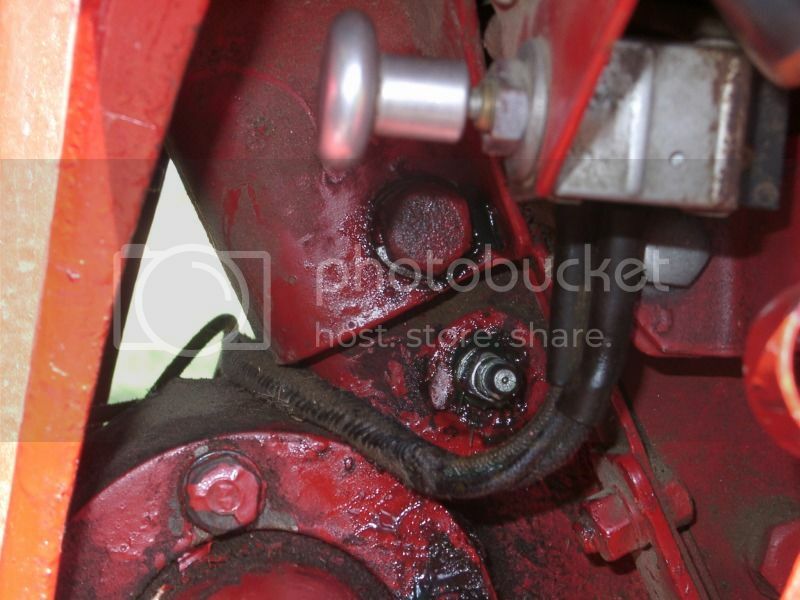 It would also be a good idea to think about repairing the steering box too if you have issues now. It is a chore to remove the entire box and tear down, but if you need new bearings and seals, no amount of grease or oil is going to correct that problem. Pipe plugs, Zerk fittings, and bolts are standard parts and can be found at most any hardware, plumbing, or fastener suppply store. Complete assembled units can be found at some of the vendors that advertise here like Juts8Ns if you don't want to make your own.